FLORA, Mississippi - January 10, 2018 - Primos Hunting, a leading innovator of game calls and hunting accessories, is set to announce a revolutionary new hunting blind to flagship the premium Double Bull brand. The Double Bull SurroundView blind, dubbed the first “Blind Without a Blind Spot” will be unveiled in the Primos booth (#1907) at the 2018 ATA Show in Indianapolis at 9 a.m. on January 11. This year, Double Bull introduces a brand new technology - SurroundView. This exclusive material has unique properties that allow it to function like a two-way mirror—hiding the hunter from the game outside the blind, but offering a full view without gaping windows. Attendees to the show will get their first look at the new blind at 9 a.m. on January 11 at an exclusive “See-It-To-Believe-It” event in booth #1907. All attendees are welcome and can be registered to win one of the new SurroundView blinds. Hunters who are not at the show can also experience the new SurroundView blind with a revolutionary augmented reality app from Primos. 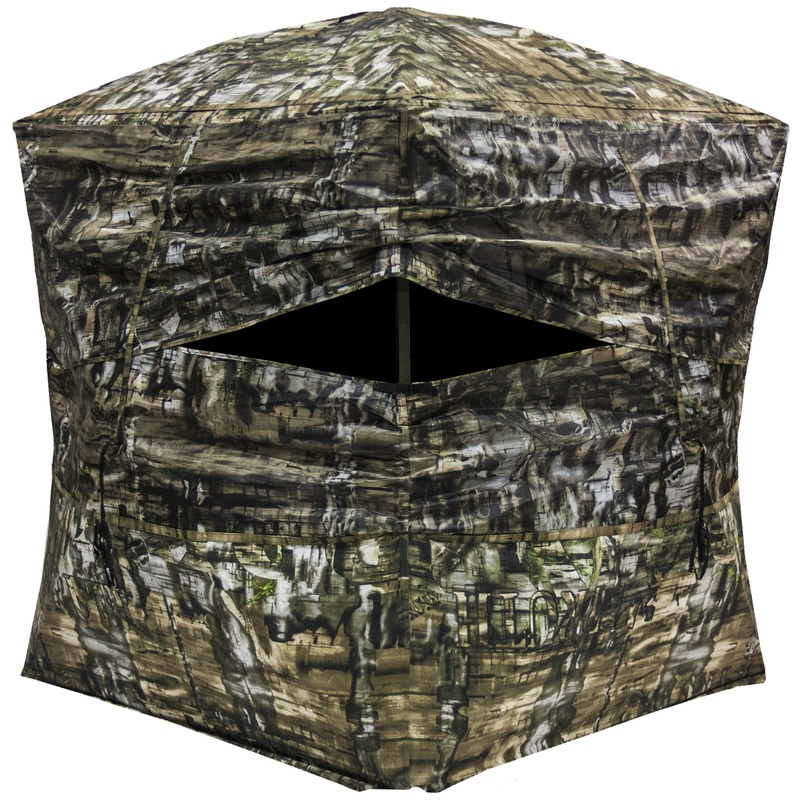 Using the latest Apple ARKit technology, the SurroundView App allows consumers and trade professionals to experience an interactive Double Bull SurroundView blind at home, in the field, or even in the store. For the first time, hunters can “set up” their blind with just their phone to view shooting angles and concealment. They can also experience the SurroundView product differences and experiment with window locations and shooting ports to view what they'll see through all three models of SurroundView wherever they. To download the App simply go to the iPhone App Store and search for SurroundView. An Android version will be available soon.